Both passionate collectors of ancient and ethnic instruments, husband and wife Walter and Laura Maioli got together in 1973 with sax player Caniele Cavallanti, guitarist Antonio Cerantola and percussionist Lino Vaccina to form AKTUALA (which means 'actually' in Esperanto). This is a furiously eclectic band whose Arabian, African and Indian themes are built around trance-inducing repetition. Apart from OREGON, they were one of the first to craft a coherent, gimmick-free hybrid of improvisional jazz with a pan-cultural approach to ethnic music, although theirs is much more loosely conceived than that of OREGON. They released three albums between 1973 and 1976 and then broke up. Walter Maioli is today recognized among Italy's foremost experts in prehistoric music-making. Their second album, "La Terra" (74), is considered their masterpiece, surpassing even the more ambitious but poorly recorded "Tappeto Volante" (76). "La Terra" contains four extended instrumental tracks that combine Indian percussion, strains of American jazz and blues as well as Mediterranean and North African ethnic music. It features additional musicians each mastering yet another ethnic instrument: among them are Trilok Gurtu - who later went on to play with John McLaughlin and OREGON - as well as saxophonist Daniele Cavallanti and guitarist Attilo Zanchi, both now well-established members of the Italian jazz scene. AKTUALA's material isn't kind to the symphonic ear: it is instinctive, primordial music full of dreamy darkness and mystery. Should please fans of THIRD EAR BAND, CLIVAGE and fans of free jazz and avant-garde. Sell your AKTUALA items on eBay ! Aktuala were an Italian band that operated between 1973 and 1976, initially led by husband and wife duo Walter and Laura Maioli, both collectors of ancient and ethnic instruments, but including additional musicians who together recorded three sublime `world music' albums in their short period active. 1974's `La Terra' saw Laura depart, but Walter had gathered together many of the same musicians from the debut again as well as new contributors, and, much like their self-titled debut, it's a fully instrumental mix of acoustic raga-rock/prog folk with strong elements of jazz, psychedelic and Krautrock-like sounds, just given a more fully developed focus throughout the four improvisations on offer. Eight minute opener `Mina' is instantly spirited and lively, as hazy harmonica, frantic acoustic guitar strums, darting sax and exotic percussion weave joyfully together, only slowing down momentarily for the briefest of meditative thoughtful breaks in the middle before finally rising in rapturous glory. `Mud' initially reminds of the early Deuter albums, faraway psych flute wisps flitting about over a gentle rumbling of tabla and thrumming acoustic guitars laced with a dusty mystery, before morphing into a wild outburst of horns and sax jazziness and culminating in a searing bow crescendo that reminds of the dirty violin peppered throughout the early Amon Duul discs. Side B's `Sar' opens as a dreamy wash of swirling harp and twirling flute before carefully building into a breathless experimental Popul Vuh-esque energetic ethnic acoustic drone with ripples of spiralling ringing percussion. The title track `La Terra', the longest piece here at over ten minutes, concocts a lethargic sunny air of groaning sitar and a tinkling of chimes that gradually lurches to life with clipping tabla, floating sax drifts, unwinding harp and world-weary chants twisting into overwhelming mantra-like themes. The recent GDR CD reissue from 2013 adds a bonus track in the form of `Dagli Etruschi a Picasso', taken from a 2003 solo album by flautist Walter Maioli. It would probably be better if these unrelated pieces weren't added on simply to pad out the shorter original running time of these sort of albums, but thankfully it's a lovely droning Etruscan flute piece that perfectly compliments the vintage material and doesn't sound out of place at all. The CD comes with a lavish Italian language booklet that includes rare photos, as well as highlighting poster art of the Villa Pamphili festival that ran between the 20-24th September 1974, where Aktuala got to perform alongside other many notable Italian acts such as Banco del Mutuo Soccorso, Murple, Il Volo, Biglietto per L'Inferno, Ibis, Jumbo, Semiramis, Perigeo, Samadhi, Sensations' Fix and others - some fine company right there! `La Terra' is usually considered Aktuala's defining musical statement, and it's not hard to see why considering how it has a stronger sense of direction and purpose. Perhaps the debut has slightly stronger psychedelic passages, a few more delicious hints of danger and longer sparse moments without as many instruments playing in unison, but this follow-up still manages occasional welcome unhinged bursts and maintains the evocative spiritual and meditative traits of the first work. Fans of bands such as Embryo, the Third Ear Band and Oregon will be excited by much of what this group does, so too those that love the early albums of Agitation Free and Deuter. 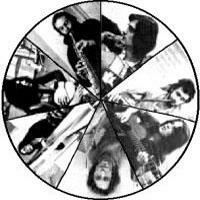 Listeners of world music, ethnic-flavoured psychedelic sounds and even the more meditative moments of Krautrock should absolutely explore this obscure little Italian collective, whose small but precious and eclectic discography are well overdue for some renewed exposure. 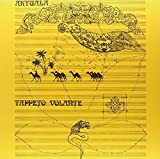 An Italian band that operated between 1973 and 1976, Aktuala, led by husband and wife duo Walter and Laura Maioli, recorded three sublime albums in their short period together, and all of these are to be considered precious, treasured jewels. The booklet in the CD reissue proudly states `Music made with prehistorical and ancient cultures instruments', and the musicians here perform in an acoustic raga-rock/prog folk style with a beautiful mix of world, ambient, psychedelic and drone elements, and perhaps even just the slightest of Krautrock sounds as well. There's very little in the way of actual tunes on this album, instead it houses a rambling and intoxicating assortment of freeform improvisations performed on a variety of ethnic instruments. The music on this self-titled debut truly exists out of time, a limitless journey and spiritual meditation through the corridors of your mind. `When The Light Began' gently unwinds over 12 minutes, an ever-evolving flowing stream of acoustic guitar, sitar, flute and violin around a collage of ambient nature. It's sedate and softly hypnotic with spontaneous bursts of positive whirling energy. The repetitive African tribal beats of `Mammoth B.C' are suffocating and imposing, sounding like an impending apocalypse, with the haunting flute your only respite. Without warning, a mind-shattering explosion of horn-driven splintering noise shatters your sanity, exploding your mind with hidden revelations and now untapped ancient secret knowledge. `Altamira' is a nightmarish dreamscape of rising cymbal crashes that take on a serrated electronic harshness with ethereal wailing voices and frantic horns, creating a deeply psychedelic unease. The lengthy drone `Sarah'Ngweha' and the trace-inducing `Alef's Dance' spice ancient middle-eastern market place excitement with dark jazz, brought on by trilling flute, rising and falling echoing percussion, a relentless maddening beat that takes on a lustful trance- like quality, culminating in a joyous searing violin whirling jig. Album closer `Dejanira' is an impossibly lovely summer drowse. A pleasing and gentle strummed acoustic guitar, almost in the manner of the lazy acid-fried Pink Floyd folk numbers from the late 60's, it floats around an intoxicating concoction of harmonica, sax, rising cymbals and chiming triangle - this is absolute musical bliss. The bonus track on the latest CD reissue, `Flauti', is unsurprisingly a flute based piece, but quite experimental in that it weaves different types of flutes into an extended mysterious drone that washes over the listener. Despite dating from 1991, it perfectly compliments the vintage material and doesn't sound out of place at all. `Aktuala' can be enjoyed as an evocative background listen, or a spiritually stirring meditative experience as well. It may instil a sense of peace and contemplation, other parts an uneasy tension and excitement for the unknown. But it's never short of being completely fascinating, and it's a thoughtful collection of ancient styled music. Psychedelic, world and new-age music fans will likely respond most to this, but lovers of the more chilled out ethnic flavoured Krautrock bands like Agitation Free and Popul Vuh will likely also welcome this beautiful collection. When you've past that invisible line that separates the big bands of the Italian 1970s scene and the lesser known - then crossing over into the unknown, you quickly come to realise just how broad the sonic spectrum was. I've said this time and again, and will keep on doing so until people have tattooed this fact onto their eye membranes. Keep on digging good people - you're almost guaranteed to find something to your liking. Aktuala are what I'd call indefinable. Their style, or whatever one wishes to call it, is soaked through in all kinds of acoustic sprinklings - stretching far across the world to implement strange endemic folk musics into their sound. Indian, Italian, Celtic, African, Middle-Eastern you name 'em - it's in here somewhere. What then unfolds is a somersaulting rhythmic concoction of droning mantraing surfaces that slowly but comfortably plays around with all of the aforementioned influences to create something entirely unique and riveting. Krautfolk is the best moniker I can come up with. The band itself is rightly placed in folk here on PA, but when you first start diving into this thing, you'll find a sound that twitches and bobs like a slippery tap- dancing eel. The reeds for example are mostly conveyors of a somewhat breezy natured fusion, that, whether expressed through an oboe or saxophone, permits a wonderful jazzy touch to the sound. Not that this album in any way shape or form approaches jazz rock territories - for that it is far too acoustic and folk sage-rated. It's hard pinpointing what makes this venture so unique and special sounding, but I guess it's down to all of the different ingredients, and some highly capable musicians that democratically are able to play all of these exotic instruments, and implement them into a sonic framework that resides far away from their normal playing grounds. Again, a word like unique doesn't even begin to do this band justice. "Wow, come on people - don't you know that's an Arabian oboe duet-ting with a naj, a maranzano and a tamboura? - Let me get my magic carpet, real quick now, y'hear?!!!" I'd be over the moon to have someone play this album for me. This is first and foremost a trailblazing record that shows what you can do with percussion instruments. The tracks here may all be carried by slowly strummed guitar patterns and the odd reed section, but what really pushes things forth - lights up the music like a big bonfire that cracks and writhes, is those drums. Xylophones, African, Arabian, Asian drums along with all sorts of strange vibrating echoing percussion features that will have your tongue twisting in no time trying to pronounce their names. From the opening lethargic yet colourful rhythms to the ending cataclysmic, almost symphonic, stints of the closer, this album's got everything a grown person could ever want out of a mystical sounding percussion lead adventure in music, and I didn't even mention how good the jew-harp of the last cut sounds.... 4.5 stars. Aktuala's second album is one I find a bit more compelling than their rather unfocused debut. Props have to be given to new member Trilok Gurtu, who had joined the band after a couple of members did some side-project work with him and invited him in. His mastery of a diverse range of percussion instruments adds flavour to the band's meandering world music explorations, which seem to display a better understanding of the musical forms they visited on the previous album. On the whole, the album seems less superficial than the debut, and as such I think it might be worth a listen for those especially interested in "world music", but I still wouldn't make it a high priority. 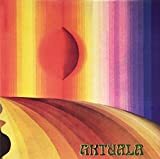 Most of the Italian albums detailed on this site that came out in 1972 or 1973 are symphonic- influenced RPI albums, so Aktuala represents an interesting change of pace. Not working within a Genesis-influenced prog framework, and by all accounts not really moving in the same circles as the likes of PFM or Banco, Aktuala were instead conceived as a project that allowed the band members, who were collectors of ethnic instruments from around the world, to get a little use out of their collections. Dabbling in the folk traditions of several continents, the band produce music which is pleasant but not more than pleasant, never quite exploring any one tangent with sufficient depth to really develop their compositions. A fun little jam, but hardly a substitute for a proper exploration of the traditions it appropriates. Let's start saying that this is an atypical italian prog band. From the start to the end this album gives a strange emotion inside you, something like the sublime... a connection between the beautiful and the inquietude, a perfect union! i cannot say that i'm a good writer in reviews and this is my first one but i can say that aktuala gives to me lot of sensations when i listen to it, really. They can be compared to the third ear band but i really think that they are much better and compact. Aktuala’s final release shows a band that seems to have run out of steam since their debut, or possibly they simply don’t have anything new to say. This is pretty much an instrumental album, although there are some barely perceptible spoken-word passages and a bit of chanting. The wide array of African and Eastern instruments present on the first album are here again, and a few new ones to boot. But they mostly appear as showcased ‘solos’, not as integrated arrangements. In some places like “Hare” and “Mediterraneo” the players just seem to be noodling. At other times the sounds are more cohesive (“Echo Raga” in particular), but nearly all the songs appear to be unfinished thoughts that were never fleshed out. And indeed except for “Ugula Baliuè African Planet” and “Waruna”, none of the thirteen tracks here even reaches four minutes. “Waruna” is quite beautiful however, and recalls the elaborated Eastern sounds of the flute as well as the African and Eastern drums of ”Sarah' Ngwega” from the band’s debut. “Ugula Baliuè African Planet” is more frenzied, almost martial at times, and the flute players actually try too hard and end up sounding rushed and almost impatient. The rest of the tracks here are pretty conservative, good but not attention-grabbing like the band’s debut was. I still think this is a good record, mostly because the wide array of instruments and broad range of sounds make for an interesting and eclectic sampler of all sorts of world music sounds. 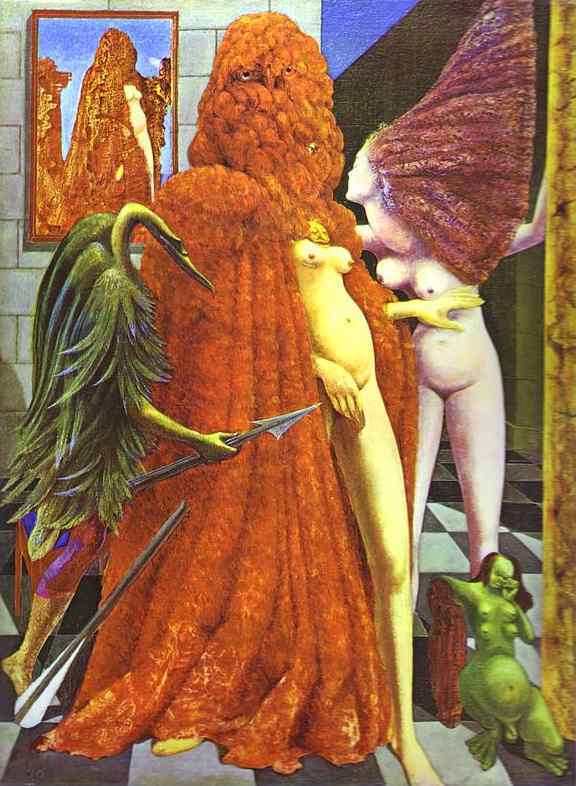 But that’s what this really is – a sampler, not a truly cohesive body of carefully arranged compositions. If you want to hear Aktuala in all their glory theit self-titled debut is the way to go. This one is decent but doesn’t reach the heights of that first record, and as such is worthy only of three stars (barely), and a mild recommendation. Aktuala have an amazing sound that is not at all what one would typically expect to hear from an Italian band making what is supposed to be folk music. There albums are quite difficult to find today, but are well worth the effort for those who have an interest in complex, primitive music like raga and non-Anglo old folk. There are no less than three dozen instruments employed on this album, with most of them representing African and Caribbean roots as well as Latin and more traditional sounds. The rhythms are provided via djembe hand drums, Moroccan bongos, koborò and other earthy African drums, while the stringed instruments include The Eastern tambura, zither and hammered dulcimer, as well as a Russian balalaika, violin and of course all manner of six and twelve string guitars. There are also plenty of horns including saxophone, clarinet, oboe, piccolo and various flutes, along with all manner of percussion mostly of the African or Eastern variety. Like I said this is primitive music in its construction, but the execution shows both a mastery and reverence for ancient musical principles and execution. Third Ear Band comes to mind as a reference for putting this band into some sort of context, and they have also been compared to the experimental jazz outfit Oregon. These are both valid comparisons, but Aktuala go much further than either of those bands in experimenting and mixing sound to form a true world music collage. The opening “When the Light Began” showcases all these instruments in a rambling, hypnotic swirl of sounds that will leave listeners breathless and also wanting more. The shorter and more brisk “Alef's Dance” is in a similar vein that comes across sounding as if this is meant to be some sort of dance arrangement of undetermined historical and ethnic origin, but with unmistakable Eastern roots. The most bizarre track is “Mammoth RC” which combines African rhythms and percussion with a frenzied blast of horn-driven cacophony that I guess is supposed to be free-form jazz and which has little perceptible structure or melody. 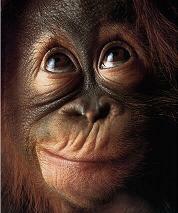 But it comes around at the end and closes with a thudding African drum beat that leaves one with a sense of completion. “Sarah' Ngwega” is a bit like “Alef’s Dance” in that it is spirited, highly percussive and danceable, while the closing “Dejanira” has a persistent drum beat and jazzy horns mixed with tambura to create an almost spiritual mood. This is definitely not what one would expect from Italian folk music, and in fact it isn’t. The only things that are really Italian here are most of the musicians. For fans of primitive and world music this is a treat waiting to be discovered, and I highly recommend it. This is about as close to a five star album as I’ve heard in quite a while, and in fact I’m going to give it that in recognition of the fact that it grabbed me right by the ears and held my attention the very first time I heard it. There’s very little music that does that any more, so for those spend an awful lot of time experiencing and delving into different forms of music all the time, this may be an acquired taste but it will likely also be a huge treat. Aktuala's second album is a bit the logical successor of their debut, but to this writer, it holds a bit better. With a superb artwork and a much-changed line-up (including guest star- percussionist Trilok Gurtu), Maioli's group is now septet. Personally I find this album more credible and entertaining than their debut, but also more personal (and this is of course primordial for me), because Cavallanti's wind instruments are freer than previously. This is particularly true for Mud (the second and last of side A) with an interesting cello and the side B opener Sar with a harp and again the cello and superb Gurtu tabla drums. The closing and longest title track is more of the same, but does not reach the intensity of the previous tracks. Their next and last will be still extremely ethnic oriented but this time even more towards Arabian influences (it will be partly recorded in Morocco and a sitar player), and is of the same quality, but hardly more essential than their first two. Still wondering what exactly this type of album brought (except a massive dreamscape to potential living-room hippies of course), but this a much more focused album. Debut album from this atypical Italian quintet that that preferred a faraway folklore to its own. Indeed, this pack of musicians probably took the proverbial hippie trip to India and never really came back. Their whole quiet and reflective sound depends solely on Indian classical music and they do not try to change or modernize it as much as other "specialist" groups such as the British Quintessence or the German Embryo. Plagued with an horrible artwork, the group uses only acoustic instruments only, ranging from Western Sahara to the Far Eastern bamboo flute, but avoids the Indian sitar. The only non-conventional-sounding instrument is the saxophone, which does bring in the odd jazz phrasing to their spectrum. Clearly lead by wind instrumentalist Walter Maioli, the group's opening track (the aptly- named When the Light Began) is a good acetate of Indian music, but no more. Mammoth is a rather strange completely chaotic music, resembling a bit what the Buthan Buddhist monks can do, laced with a bit of free-jazz, but it is little more than doodlings to these ears and it sticks out like a rotten thumb from the rest of the album. Altamira is a short descriptive track that evokes the jungle nights. One can indeed ask himself the question of what exactly brought this kind of record, because outside the few personal touches of the group, there is not much to separate it from listening to Indian or Morroccan artistes, while not being sure that the natives will not cringe at their (sacred) music being handled in a non-purist manner, even if played as a homage. Nothing essential, I'd rather you either listen to pure ethnic music or that you'd listen to groups like Embryo or Quintessence, for the sake of experimentation.